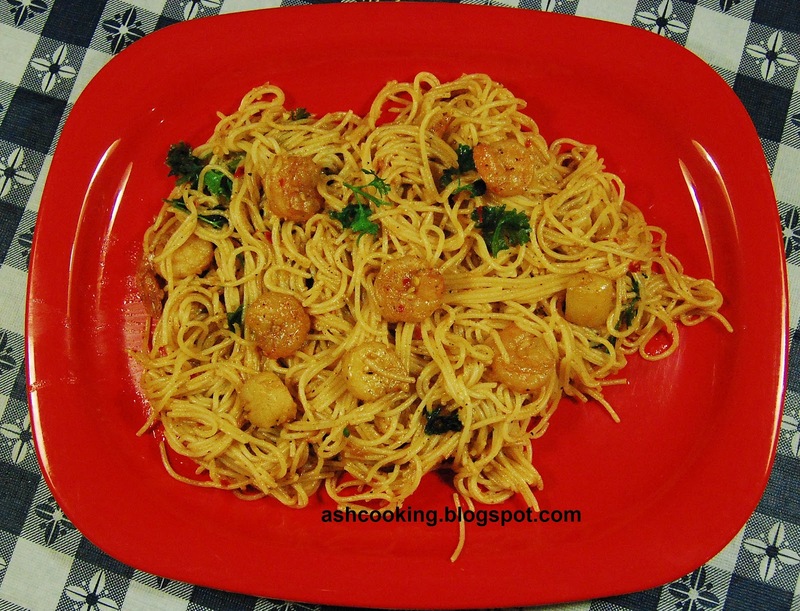 to gratify my husband's craving for scallop, I thought to incorporate them in pasta cuisines. bursting with garlic flavour gives you a wholesome experience. 1) Heat oil in a skillet and shallow fry scallions. Add scallops and prawns. On medium heat, shallow fry them. The water discharged by scallops and prawns during cooking will help them become tender. Add chilli garlic sauce. Stir and cook for 1 minute. Add whipping cream, paprika and black pepper. Cook for 2 minutes stirring occasionally. 2) Add coconut milk and cook for 1 minute. 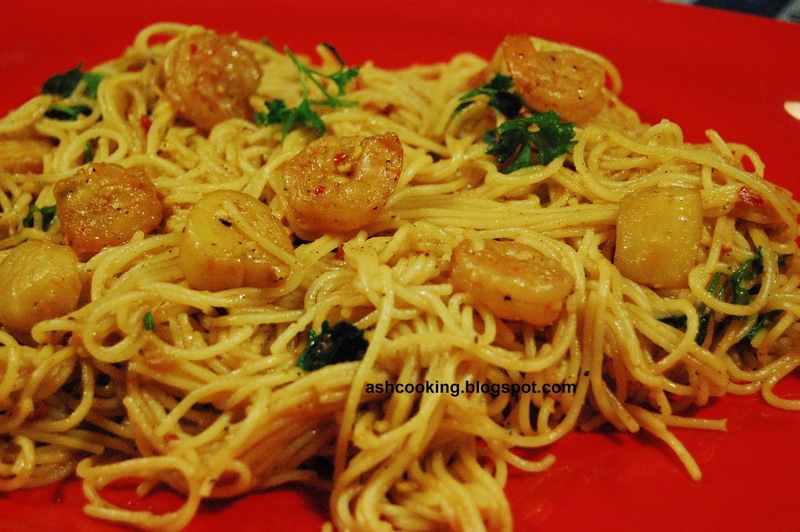 Slide the pasta into the skillet. Add salt and mix in properly. 3) Garnish with fresh parsley leaves. Serve hot.